The growing number of virtual reality headsets and various price points ($0-$350) should see schools exploring the use of virtual realities to enhance student learning experiences. A VR HMD connected to a PC (most powerful and most expensive). A plastic or cardboard headset that holds a regular smartphone running a VR app (cheapest). Browse the content below to find the desired VR hardware solution. The Oculus Rift is a virtual reality headset, originally launched through a Kickstarter campaign (raising over $2.4 million) and recently acquired by Facebook for $2 billion! The Oculus Rift VR headset creates a stereoscopic 3D view achieved by presenting unique and parallel images for each eye (this is the same way your eyes perceive images in the real world) with excellent depth, scale, and parallax. Watch the videos below to learn more. DK2: In March 2014, Oculus VR released the second development kit for the Oculus Rift with improved functionality based on developer feedback. It is recommended that only people that have a high proficiency in IT skills should purchase the DK2. Crecent Bay: A prototype leading towards the development of CV1. CV1: A consumer version should be available within the next year or two. a software development kit (SDK). Direct3D 10 or OpenGL 3 compatible video card with a DVI-D or HDMI graphics output - Use OpenGL Extensions Viewer to check that the video card meets either requirement. whilst the Oculus Rift website states that it takes 6-8 weeks to ship, mine arrived within 3 weeks (to Australia). Direct To Rift (easiest - the aim for CV1). Extended Desktop (which can be complicated). 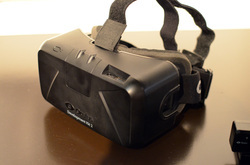 Direct to Rift applications are the easiest to run on the DK2. As shown in the image below, some (not all) VR applications comes with an .exe that is noted as being 'DirectToRift'. Direct to Rift apps automatically turn on the DK2's display when users open a Direct to Rift app (less chance for burn in occurring and more energy efficient). Ensure the the DK2 is turned on and connected to the computer (via 2 USB connections and one HDMI/D-VI connection) and that the instructions contained in the video above were followed. Locate and open the Oculus Config Util (see image on right) and select 'Rift Display Mode'. Select 'Direct MDH Access from Apps' and select 'OK'. Open the VR app that contains 'DirectToRift' in the .exe. The orange light on the DK2 should turn blue and then place the DK2 on the user's head. If a 'Direct To Rift' app works perfectly then great! If it doesn't work properly (or at all) then follow the instructions below. Apps (e.g. Kira) that do not contain an .exe that is noted as being 'DirectToRift (as shown in the image below). NOTE: Whilst Extended Desktop Mode is enabled, the DK2's display remains on. This is less energy efficient and also comes with an increased chance of burn-in on the display - therefore there is an option for turning off the display after a period of inactivity. Find the Oculus Config Util. Select Extend Desktop to HMD. Right-click on an app and select 'Open on Oculus Rift' (see image below). Some apps will open immediately on the Rift whilst others will present users with a window containing options for the display resolution and in-app user controls (see right). As demonstrated in the image (right), select 1920 x 800 as the display resolution and then select 'Play'. Note: Users may have to press Alt+Enter to force the app into Full Screen Mode and onto the Rift. If that does not work, try different display resolutions. If none of the resolution options work then use the VR Desktop option discussed in the section below. If an app opens only onto one lens (or on half of the computer screen), press Alt+Enter to force Full Screen mode. The app should then work properly. If it does not then close the app (by pressing 'Esc') and then try to open the app again (which should open in full-screen mode on the Oculus). If an app opens on the desktop screen but not on the Rift, then set the Rift as the Primary Display. Note: You may need to put the headset on, close one eye and then try to navigate using the mouse to open an app or to attempt to drag an active window from the Rift to the desktop. If an app opens in a side-by-side view, then follow the steps below. 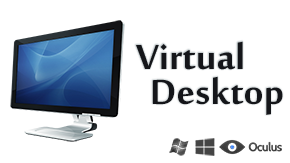 Install and run VR Desktop. Either look at the primary display or put on the DK2 (and the user will see the primary display on the DK2). 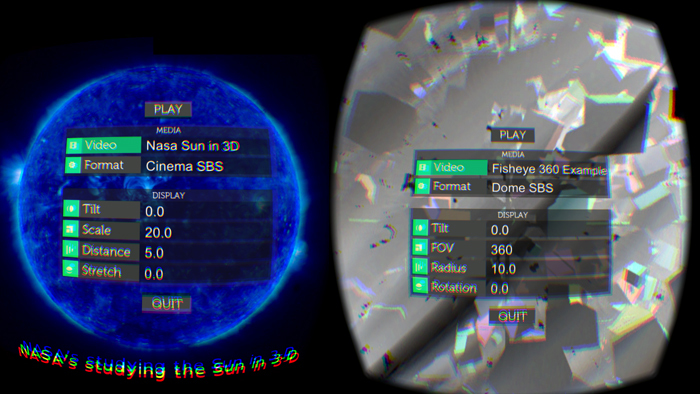 In VR Desktop find the tab Settings -> SBS Options -> and select To Rift (F8) - Send side-by-side content to the Rift. Add games to the Games tab and select Launch or locate VR Desktop in the System Tray (as shown in the image to the right). If all of the above steps fail, then open a game on the primary display and then drag the game's window from the primary display onto the extended display on the Rift and press Alt+Enter (Full Screen). In-built gyroscopes in the headset allow users to look around (and in some apps enable users to navigate by looking at target points or tilting their head forwards or backwards). By default with all apps, a keyboard, mouse or trackpad (which users can't see whilst wearing the headset) can be used to control the experience (e.g. move around: up, down, left, right arrows, interact = Space-bar, Esc = quit). X-Box 360 controllers are also supported by most apps. A motion controller (such as a Leap Motion or Virtuix Omni) can be used to create a more immersive experience. A hand-held USB gamepad or joystick can be used to enable easy eyes-free in game navigation and interaction. A Leap Motion Controller ($US99) is a tiny USB device that tracks hand and finger gestures (such as point, wave reach and grab). It uses the air space (8 cubic feet/135° field of view) around the controller to detect movements. A Leap Motion Controller can be mounted onto the Oculus Rift (for $US19.99 or for free using a 3D printer) to enable users to interact with and navigate within various VR experiences using hand and finger gestures (instead of using a keyboard or mouse). As shown below, the Oculus Rift is covered in invisible infra-red sensors that are used for head-tracking by the Oculus Camera. Therefore users should ensure that they mount the Leap Motion Controller into a suitable position on the Rift as not to cover the sensors. USB speed limitations were introduced with the latest version of the Oculus firmware which can result in low frame rates and decreased performance. There can be tracking issues. Most apps are specifically designed to be used with an X-Box 360 controller (wired or wireless) connected to a PC via USB using these drivers. It is highly recommended to use an X-Box 360 controller as there is no need to map the X-Box 360 controller to the keyboard/mouse controls. It is also highly recommended to use a Wireless X-Box 360 Controller for Windows so that users do not have to navigate the VR world with another wire that they can possibly get tangled up in. Any other gamepad can be used to navigate within VR apps, provided that the gamepad is mapped to simulate a keyboard or mouse. This can be done using various mapping apps such as Joy2Key. Omni by Virtuix ($US499) is a natural motion interface that emulates the function of any keyboard or gamepad controlled game. The low-friction platform that enables users to immersive themselves into any VR or non-VR game by being able to walk, run, jump, duck, step backwards, strafe and sit! The Omni platform can also be used whilst holding a game controller (such as the X-Box 360 Controller). It connects to a PC or mobile VR device using Bluetooth. The waist support ring is adjustable to accommodate heights ranging from 4’8” up to 6’5”, and a maximum user weight of 285 pounds. The waist harness comes in various sizes. The platform ring has a 20” diameter. 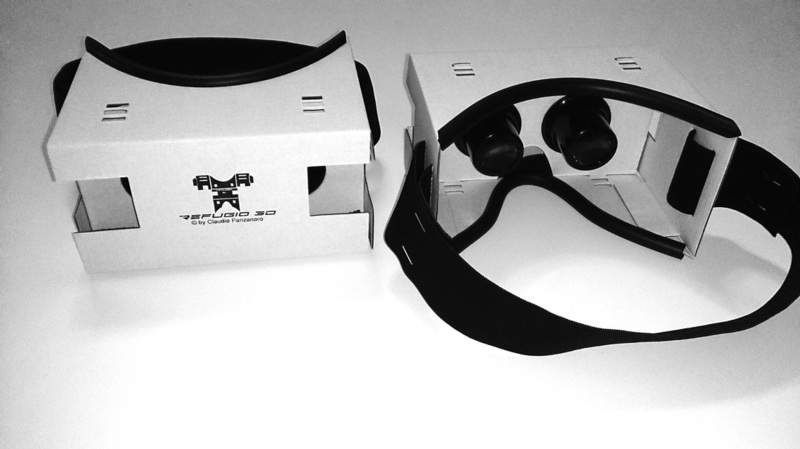 The following solutions work by simply placing a smartphone into a cardboard or plastic headset and using side-by-side (SBS) apps (pictured right) to deliver virtual reality experiences to each eye. Cons: Less powerful than PC-based VR headsets and the differing dimensions of smartphone models may render some headsets unable to fit a user's phone. Google has amazingly released free plans that enables anyone to create cardboard headsets that can be used in combination with a smartphone to enable anyone to experience virtual reality! Simply launch the VR app, slide your Android phone into the cardboard headset, and switch between VR applications without taking the headset off. Watch the video below to see Google Cardboard in action! Use Google's free plans to create a cardboard VR headset here and watch a user create a headset here. NOTE: The magnet navigation only works with Android phones. 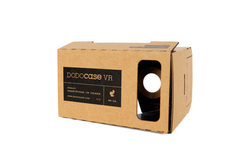 Dodocase have created a an easy-to-assemble cardboard kit with lenses and magnets for $US24.95 here. NOTE: The magnet navigation only works with Android phones. Refugio3D ($EU19.99-24.99) is made of a more durable and better looking E-corrugated cardboard as is available for a large variety of phone models (including iPhone 3). 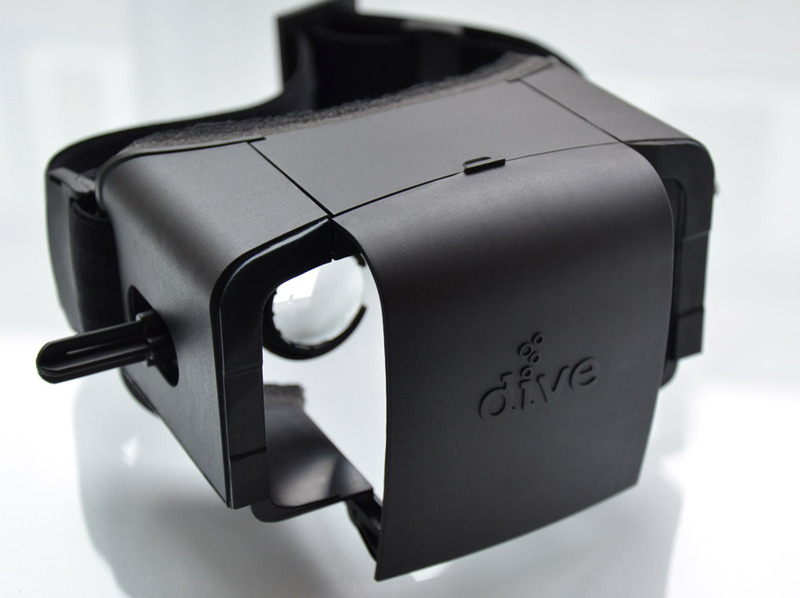 Open Drive is a free 3D printable headset of the Durovis Drive (see below) that enables a smartphone to slide into the front using compatible VR smartphone apps. For another alternative option, anyone can build their own plastic VR head mounted device to hold a smartphone following these instructions. The Durovis Dive ($EU57) is the world's first hands-free smartphone holder (Android & iOS) that users to experience virtual realities in combination with a compatible smartphone. The Samsung Gear VR ($US199) was designed in conjunction with Oculus (the makers of the Oculus Rift). It uses the Sumsung Galazy 4 phone’s GPU/CPU to power the device and the Quad HD low-persistence 5.7 inch 1440p AMOLED screen as the VR display. Oculus 360 videos and photos to enable (playback of panoramic content in VR (which can be accessed from here). Detailed images can be accessed here and the product specifications here. The VROne ($US99) is a highly professional-looking VR head unit for the smartphones that are between 4.7 and 5.2 inches, such as the Samgung Galaxy S5 and iPhone 6 (with different phone-holding trays to be developed in the future). 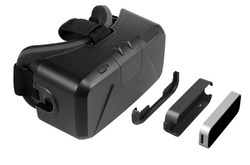 AirVR ($CA49) is a headset that holds an iPad Mini or iPhone 6. Distribution is being funded via a Kickstarter campaign with shipping to consumers beginning in 2015. Minecrift (Win/Mac/Linux) is a free program that allows users to explore and walk amongst their Minecraft worlds (click here to learn about Minecraft in educational settings). 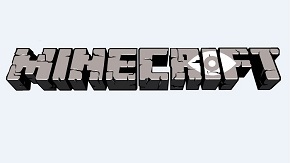 The Wipeout Minecraft pack can be downloaded from here. Oculus SDK 0.4.2 (requires the 0.4.2 Oculus Runtime). Follow the installation steps contained on the Minecrift website. 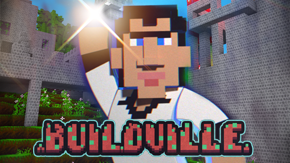 Buildville (for Windows) is a free program that looks, feels and acts like Minecraft, without needing to buy a copy of Minecraft! It has a port for the Oculus Rift (for Windows) that is truely amazing as it enables users to enter into an immersive world where they actually are the protagonist. The following apps would be ideal for having students use a VR headset and then have students compose a narrative or a descriptive recount of their experience. 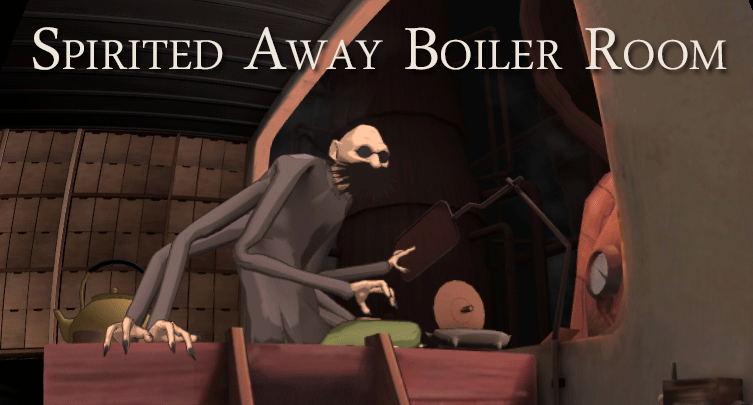 Spirited Away, the Boiler Room (DK2: Win, DK1: Mac/Linux) is a free VR experience to enable users to step into Chihiro's shoes within an iconic scene from the famous Japanese animated film Spirited Away. During a study of narratives, students could watch the film (noting down its characters, settings, plot, dilemmas and resolutions) and then enter the VR version of the film to given them an unforgettable experience! My Neighbour Totoro VR - The Bus Stop Scene (DK2: Win, DK1: Mac/Linux) is a free VR experience to take users within the world of Studio Ghibli's 'My Neighbour Totoro', a famous Japanese anime film. In the movie, there is a bus stop scene where two girls wait for their father at a bus stop when the giant, racoon-like forest spirit Totoro arrives to wait for his own bus, 'Catbus'. In this VR demo, users take the place of the girls, interacting with Totoro and exploring the scene. An X-Box 360 control pad is recommended for Windows PC users. 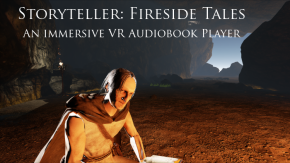 Storyteller - Fireside Tales is a free demo of a VR audiobook experience, designed to immerse readers into a virtual world to bring audio narrations of famous stories alive. 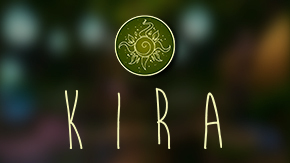 Kira (Win/Mac) is a free program that immerses uses in a hands-free beautiful fantasy world that is sure to set the students' imaginations wild! Kira - Hands-free, Gaze Navigation System - Oculus version from Bully Entertainment on Vimeo. Star Hill VR (for Windows 64-bit) is a 3D/VR recreation of "Star Hill" from Super Mario RPG: Legend of the Seven Stars for the Super Nintendo. This demo video game is suitable for all ages and could be used in conjunction with sequencing, descriptive writing, narrative or recount genre writing. 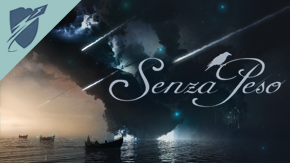 Senza Peso is a free program (for Windows) that immerses users into beautiful realms. Watch the video below to get a taste of the VR experience and access the short film counterpart here. XING: The Land Beyond - Rainforest Demo (for Windows) could be used in conjunction with a simple reading comprehension task as well as genre writing (procedural, descriptive writing, narrative or recount genre writing). GPU: DX 11 compatible NVIDIA or AMD video card; Radeon HD 7850 or GTX 560 for DK1. DirectX 11 and the Visual Studio 2013 re-distributables. A Christmas Carol (for Windows) is an immersive listening post experience. Users are placed into a mid 19th century living room, with snow falling outside and a lit crackling fire. Simply navigate to the radio and press a mouse left-click to listen to a radio broadcast of "A Christmas Carol" or locate the phonograph and left-click to put a record to listen to a Christmas Carol. Fantasy Village (for Windows) is a free demo of a virtual experience that sees users explore a fantasy village that also contains a river/bridge and waterfall/secret cave built for exploration. It could be used within classrooms for a muse for creative or recount writing. Cafe Ame (for Windows) is a free demo of a immersive experience that sees users embody a entity sitting in a cafe. 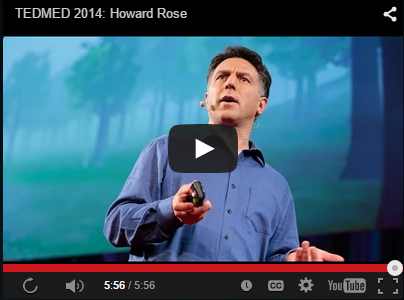 The experience could be used within classrooms for a muse for creative or recount writing. Watch the video below to see the whole experience. 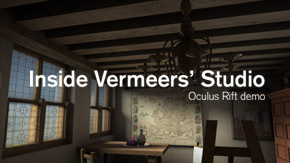 Inside Vermeer's Studio (Win/Mac) is a free VR experience that enables users to self-explore 17th century famous Dutch painter's Johannes Vermeer studio in Delft, Holland, and learn about his work. Two of Vermeer's paintings hang on the wall and can be viewed while being discussed by two art historians who point out details specific to Vermeer's work which may also be recognized in the room where you are present. Also, whilst walking around the studio, a few of Vermeer's subjects appear in the room. 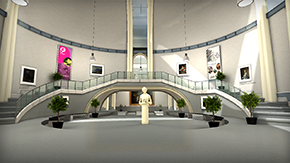 Museum of the Future (Win/Mac) is a free VR 3D model of a small fictional museum that enables users to view some of the masterpieces from the Dutch Rijksmuseum. 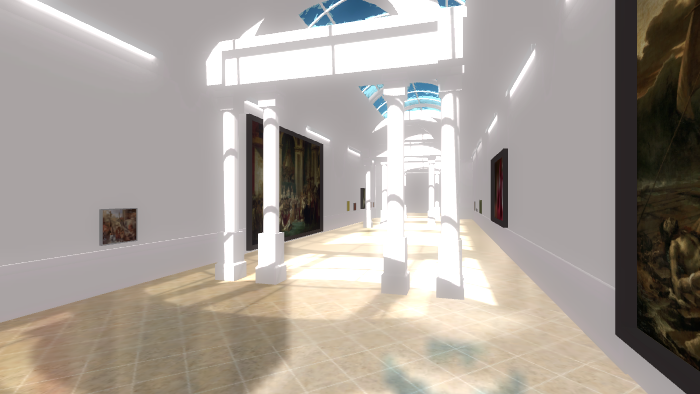 Using the headset, users can ‘walk’ around and see the paintings at much closer range than would be possible in reality. When they turn their head, the user's view changes accordingly, giving them a sense of actually being in the virtual museum. Monet's Garden (for Windows) is a free VR guided tours of Monet's gardens in Giverny, France, the location that inspired one of the greatest impressionist painters of all time. VR Player installed on PC (DK1). ﻿Le Musée Imaginaire﻿ is a free imaginary art museum that enables users to explore four scenes representing as many great works from different eras - or their context. Note: The text and audio commentaries contained in this demo are in French. 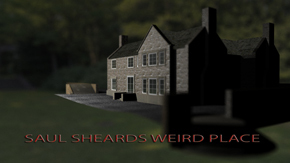 Saul Sheard's Weird Place (for Windows 64-bit) is a free VR demo that enables users to explore sculptures and architecture in a sculpture park created by a teacher and students from Chesterfield College. Choi Gravity (Win/Mac) is a free program that is inspired by the movie Gravity. Users experience what is would be like to be 372 miles about the Earth and have to move carefully from from a space shuttle to the International Space Station (ISS). From Ashes (for Windows) is a free tour through space and time. Users simply sit back and watch the universe evolve from the big bang (watching the formation of galaxies, stellar explosions, molecules), move through the age of dinosaurs and end in the exploration of modern day technology. From Ashes also includes an optional fully-voiced and animated tour guide. A Journey Through Space is a free VR experience that takes you through space whilst listening to an inspiring music playlist. It is available for download in both a VR and non-VR version. Lunadroid 237 (Win/Mac) is a free interactive narrative (part game, part short film) that takes place on the moon on July 21, 1969. 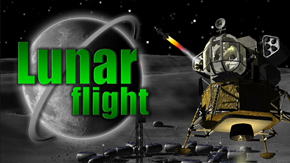 Lunar Flight ($10 - Windows/Mac) is a lunar module simulator where players are required to complete a variety of mission types involving transporting cargo, acquiring data at survey locations and locating lost cargo. Each completed mission earns experience points and money to be used to refuel, repair and upgrade the lunar module. In addition to missions there are time trial challenges complete with online leader boards and a globally ranked ‘pilots’ leader board, ranked by experience. An X360 controller is highly recommended but you can use the Keyboard. Tattie Boggle X360 Driver on Mac. Titans of Space™ is a free short self-paced guided tour of a few planets and stars, shrunk down to 1 millionth of their actual size. Rotate a planet or moon. Orbit a planet or moon. Proceed to next tour stop when ready. 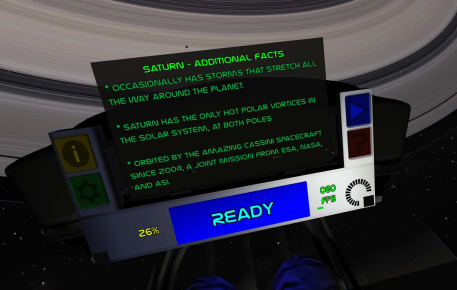 Titans of Space™ is designed to be used with the Oculus Rift and Samsung Gear VR. A desktop version is also available for those who do not have a VR headset. It is also available in English, French, German, Spanish, Italian, Czech, Dutch, Danish, Swedish, Portuguese, Chinese-Simplified, Chinese-Traditional, and Russian. Download Titans of Space™ here. 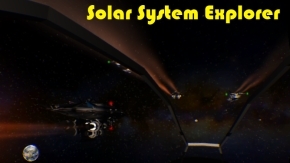 Solar System Explorer (for Windows) is a free program that inspired by Titans of Space (reviewed above), and aims to giving users the experience of exploring our solar system to grasp a sense of the scale of the planets and the distance between the planets. 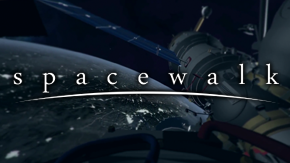 Spacewalk (Win/Mac) is free networked interactive VR experience that enables users to experience what it would be like to take a space walk outside of the International Space Station. Players collectively take on the role of astronauts; navigating and exploring the structure of the space station. 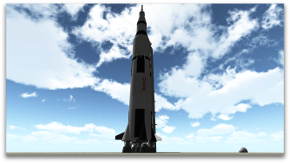 SaturnV (for Windows) is a free program designed to give users the experience as to what it would be like to stand at the base of a space rocket (size and scale). 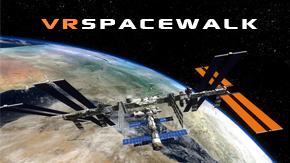 VRSpacewalk (for Windows) is a free VR program created to give users an immersive simulated experience of taking a space walk to find their way to the International Space Station (ISS). 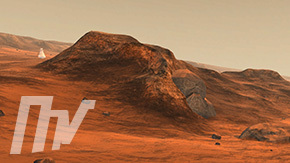 Walking Mars Beta VR experience (Win/Mac) gives users an opportunity to walk on Mars as the surface is based upon real satellite data from Mars! The mountains that users can see are the base of the Mount Sharp, the spot where NASA's Curiosity is. Classic: Best performance but quality has been set to low, very low. Simple: Some improvement in quality. Space Expo Modus; Nice and detailed terrains but performance can be buggy. Beautiful: All the fancy stones, shadows, fogs, etc. 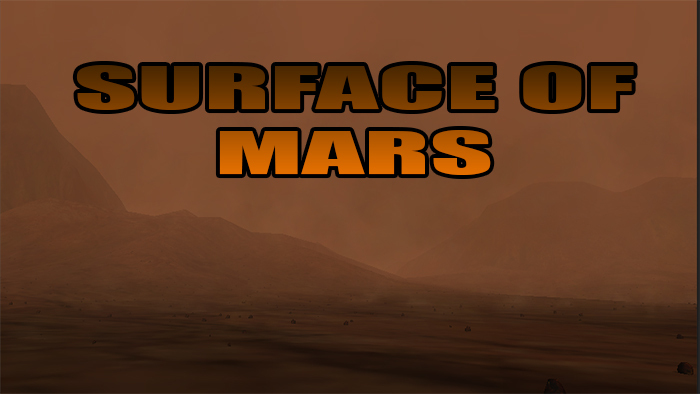 Surface of Mars (Win/Mac/Linux) is a demo that gives users an immersive experience to walk on the planet Mars. Space Station 3D (Win/Mac) is a free program that gives user the experience of being on a space station and exploring an alien planet. 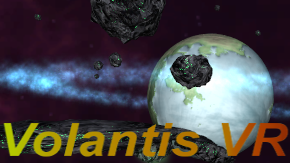 VolantisVR (for Windows) is a free demo that places users in a spaceship traveling along a part of an unknown solar system. Weightless (Win/Mac) is a free immersive experience that sees the user waking up in a space station to the warm welcoming voice of the station's on-board artificial intelligence. Users can navigate within the space station and if they have a Leap Motion Controller they can use their hands to interact with objects in zero gravity! Discovering>™ SPACE (for Windows) enables users to explore space, flying around in a ship. It comes in both a free (demo - Earth & Moon) and paid ($US12.99 Full Milky Way Version) format. Oculus Rift Development Kit 2 & Firmware 2.12 or above. 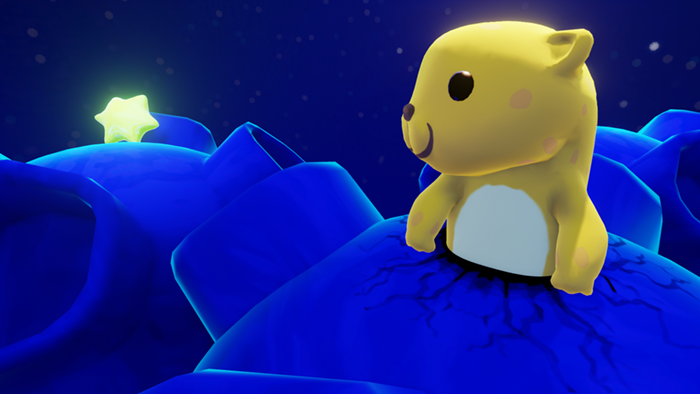 Planetarium is a VR experience to simulate the experience of being at a planetarium. 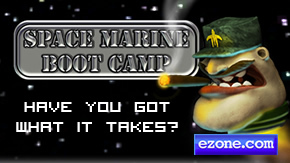 Space Marine Bootcamp (Win 64-bit/Mac 64-bit) is a fun and humourous game (with one swear word) to "train" users to handle life in space. Users experience what it would be like to spin around in a centrifuge, fly a ship, eat food in zero gravity and vomit in space! There are a variety of VR experiences that can be useful in the study of biomes. 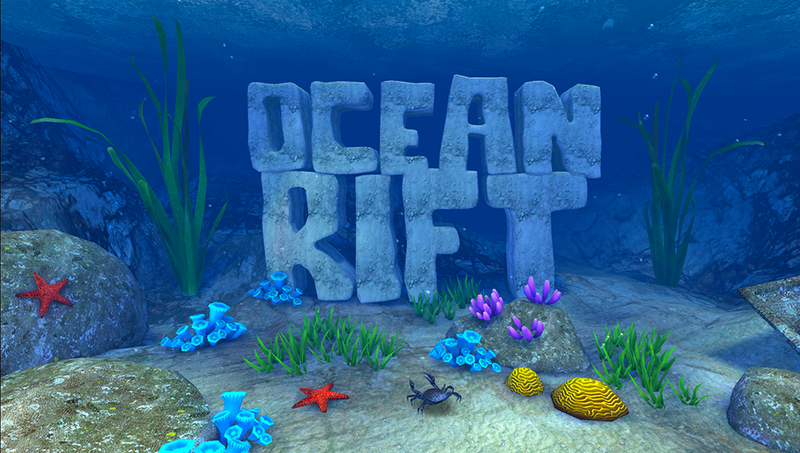 Ocean ﻿Rif﻿﻿t (for Windows) is a free program that takes users on a underwater journey filled with animals, plant life, sounds, ocean currents and systems (dust, bubbles etc.). CPU: Intel i5 or equivalent. 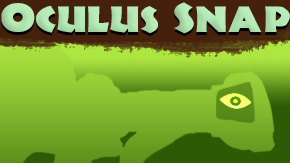 Oculus Snap is a free program that requires users to transverse a jungle to discover and photograph the many different animals that lurk in there! Users only have 35 photos, with each animal worth a different amount of points depending on their difficulty rating. Watch the video below to get a taste of the experience and access a in-depth guide to the steps required to create the app here. 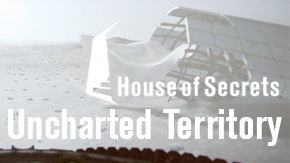 Uncharted Territory (for Windows) is a free VR experience that places the user (who is wearing a protective suit) into desert environment (perhaps on another world). Users are immersed in the desert atmosphere, able to roam the landscape, explore the seemingly never-ending almost barren landscape. 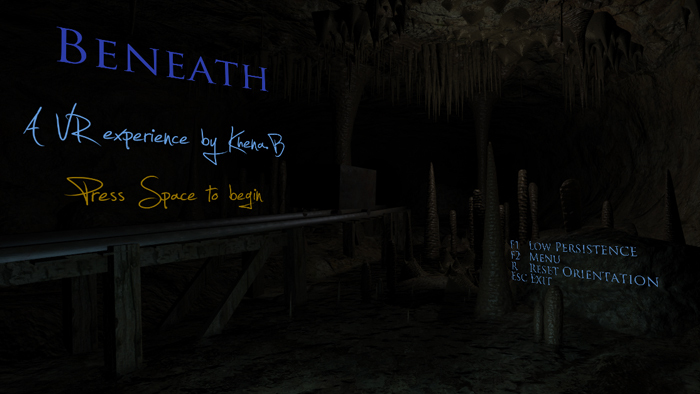 Beneath (Win/Mac) is a free VR experience that immerses users into a detailed and atmospheric cave system, riding in an ore cart with physics and realistic sounds. Karaage World (for Windows) is a free VR experience for exploring a variety of biomes. 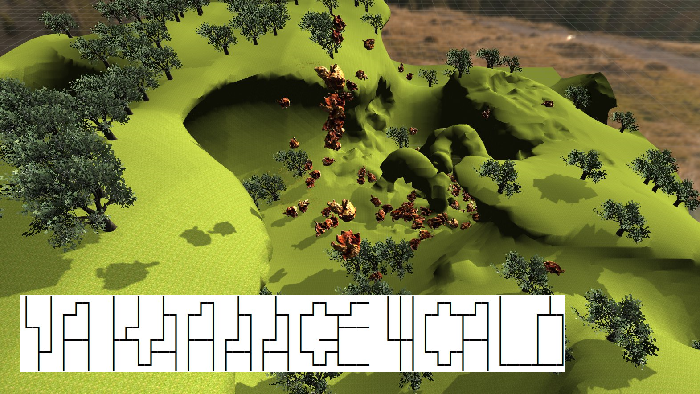 First Try (for Windows) is a free VR demo that enables users to explore a cave and a large desert-like area. GPU: Geforce GTX 660 or better. Virtual Crash Test (Win/Mac) is a free VR program that gives users the experience of being a crash test dummy in two cars from two different eras (to demonstrate how car safety features have improved). This apps can be used as part of student studies of force and motion, health and safety, and mechanical engineering or even chemical science when combined with this lesson plan about chemical reactions in air bag deployments. Developers Chaotic Moon have created a demonstration video of a concept program (not available for download) that allows VR users to manipulate and piece together elements from the periodic table to create a H20 molecule. 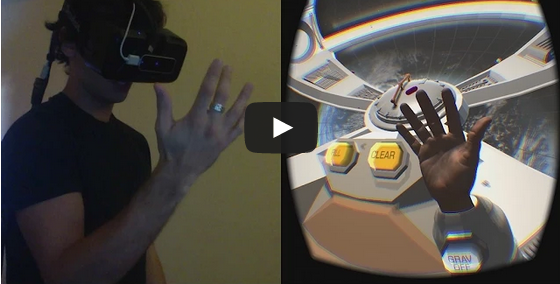 To fully embrace the power of Chaotic Moon, a Leap Motion controller is placed onto a VR headset to enable users to interact via hand and finger gestures. Virtual reality experiences are being used in the medical field to train surgeons and treat patients suffering from phobias and post traumatic stress syndrome. Watch the video below (opens in a new window) and then browse the sections directly below to download some of the discussed VR experiences for the Oculus Rift. 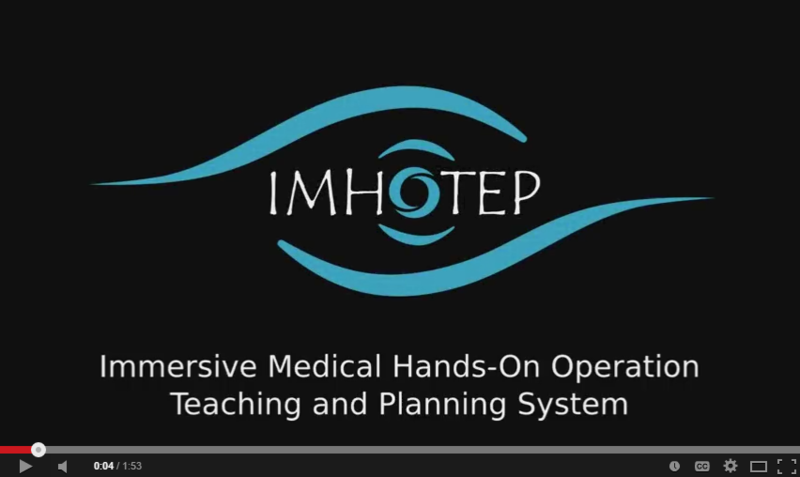 Imhotep (Immersive Medical Hands-On Operation Teaching and Planning System) has been designed to enable surgeons to view CT or MRI scans of segmented patient organs, target structures (tumors) and risk structures (vessels) in an immersive virtual 3D scene. Surgery Experience (Win/Mac) is an immersive first-person video created to allow users to feel what it would be like if they were placed in the shoes of a surgeon who is about to perform a surgery . The experience, created by the Moveo Foundation in France, shows the potential for virtual and augmented reality to provide training experiences in the field of medicine. 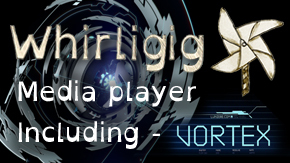 must be viewed using the Whirlgig Media Player. 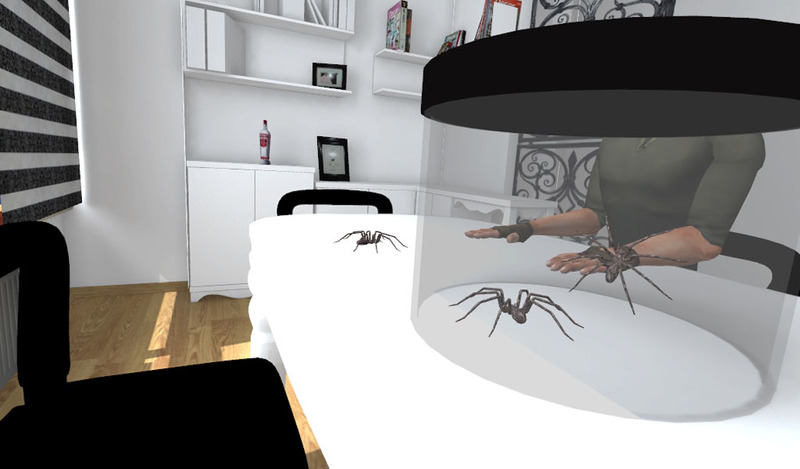 Arachnophobia (for Windows) is free a non-lethal but scary VR experience that seeks to provide a solution to gradually weening people off their fear (rational or irrational) of spiders. Users can set the difficulty level which controls the number of spiders and whether they are in or out of a jar! 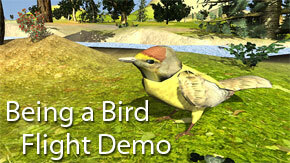 Being a Bird (for Windows) is a free demo that gives user the experience of what it would be like to fly as a bird! GPU: Direct3D9 or OpenGL 2.1 compatible. 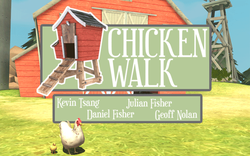 Chicken Walk (Win/Mac) enables users to experience what it would be like to be a chicken. Players must consume water and chicken feed (corn) to be able to produce eggs, hatch chicks and get them back to the coop all whilst avoiding foxes! Watch the video below (NOTE: A few swear words are used from 5:50 onwards). GPU: Graphics card with DirectX 9 level (shader model 2.0) capabilities (any card made since 2004 should work). 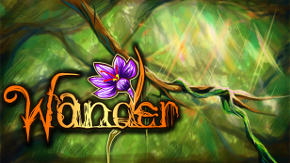 Wander (Windows/Mac) is a paid ($AU29.43) collaborative, non-combat, non-competitive massively multi-player online game where users simply wander and explore a rainforest. As they wander, users can unlock new experiences (e.g. take on a variety of forms such as a Thylacine (Tasmanian Tiger), Polynesian Elf Girl, Griffon, Azertash (sea creature) and an Ent. Watch the video below to see how users can take on the form of a Thylacine (Tasmanian Tiger) to wander the rainforest. Learn more about Wander here. GPU: DirectX11 Compatible, AMD Radeon HD 6950 / NVIDIA GeForce GTX 460 or better. The Mission (Win/Mac/Cardboard) is a truly epic VR experience! JauntVR and New Deal Studios have scripted and shot an immersive cinematic quality video that places the user into 'The Mission', a WWII special operations team that is dropped into a battle on the Eastern Front! A free ten-minute preview has been released and is a must for any teacher or student studying WWII. Read an in-depth review here and download the free demo here. 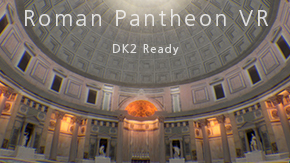 Roman Pantheon is a free recreation of the Roman Pantheon for users to experience what it would be like to be there, with scale and lighting created to impress. 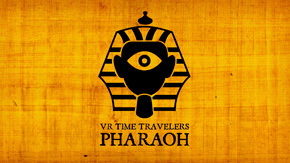 VR Time Travelers: Pharaoh (for Windows) is a free demo to give users the experience of exploring an Egyptian tomb. 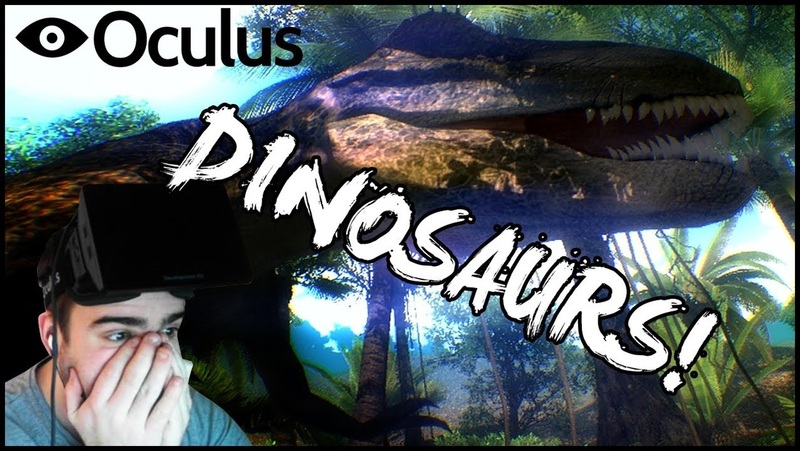 Dino Park is a free VR tour of a dinosaur park where users get up and close with a Triceratops and Tyrannosaurus Rex. Jurassic Rift (for Windows) is a free silent demo that enables users to walk through a forest and look at two dinosaurs. Dinosaur is a free demo app where users are circled by a Deinonychus. Old Town (for Windows) is a free VR experience that enables users to explore an old medieval town. GiganotosaurusVR (Win/Mac) is a free VR dinosaur demonstration experience that is available for free download and is also being displayed at the Royal Ontario Museum over Winter 2013/2014. Project Time Travel (for Windows) is a demo (with gradual updates) created by a high school teacher to teach students about World History. 1940 A.D. - The Blitz bombings of England during WWII. HD: 500 MB available space. 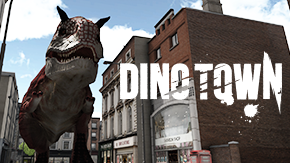 Dino Town (Win/Mac) is a free VR demo experience that places the user into a town that has been overrun by dinosaurs. Users get to interact with a carnotaurus, pteranodon and an ankylosaurus and view a velociraptor and spinosaurus. Websites are processed through the use of "Site translators" that take the content and known structure of websites and the rooms are generated from this data and is spatially arranged in a more-meaningful manner. Webpages owners can also use special HTML markup tags to tailor how their website content is show as VR content in JanusVR. 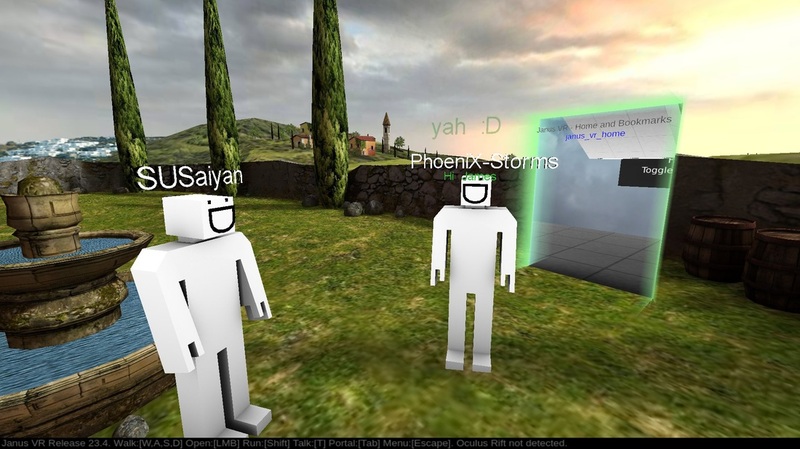 The experience is also multi-player or collaborative so that multiple people can navigate virtual spaces together, communicate via voice or text and share portals to new areas with each other. Warning: As anyone can create rooms, there are rooms with adult themes and content. then they will be able to code and watch the VR world change around them in real-time. Download the Windows/OS X or dev build of Firefox that includes the WebVR APIs here. 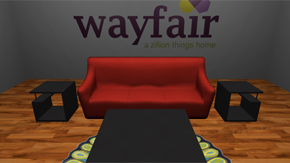 Visit this website with an Occulus Rift plugged in and turned on. The code is also on GitHub. VR Typing Trainer (for Windows) is a demo of an educational VR experience that aims to improve typing speed and accuracy. Rift: The latest Oculus 0.4.2 Runtime. 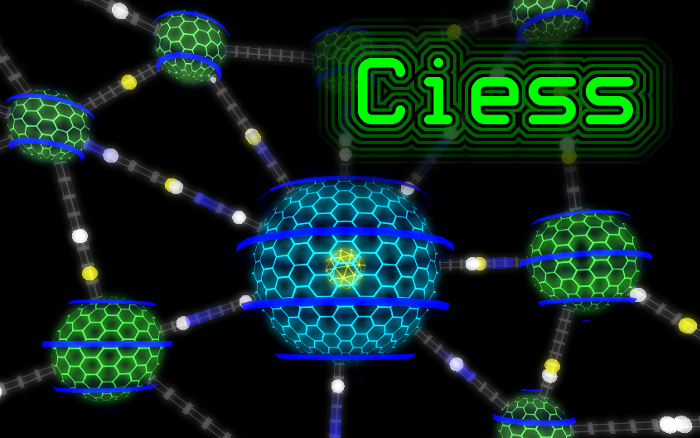 Ciess AKA Darknet (Win/Mac) is a hacking sim that immerses users into a virtual cyberspace world wherein they jump from node to node, defeating security and stealing the data. Whilst teaching hacking is not the educational goal of an IT teacher, students would be able to visualise these components of cyberspace to help them better understand them and how they work. 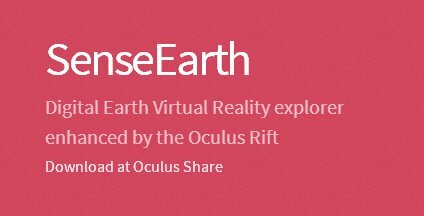 SenseEarth is VR app to explore the mapping of various famous cities and landmarks from never before seen perspectives. School Simulation 4: Horror Edition (for Windows) is a free demo that sees users (in a suit of robotic armour) enter into a scary school where they have to solve trigonometry problems posed by teachers and placed on school noticeboards to progress throughout the game. 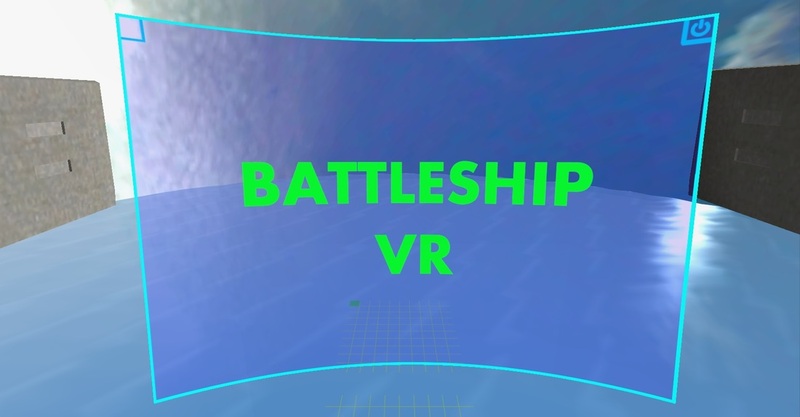 Battleship VR (for Windows) enables users to play the classic Battleship game in VR (reinforcing grid references). Using the Leap Motion, players can use their hands to select squares, navigate menus and fire upon enemy ships. Waking Man (Win/Mac) is a free virtual meditation experience. It is ideal for schools who use meditation as students can rotate on a roster to use this truly unique meditation experience. 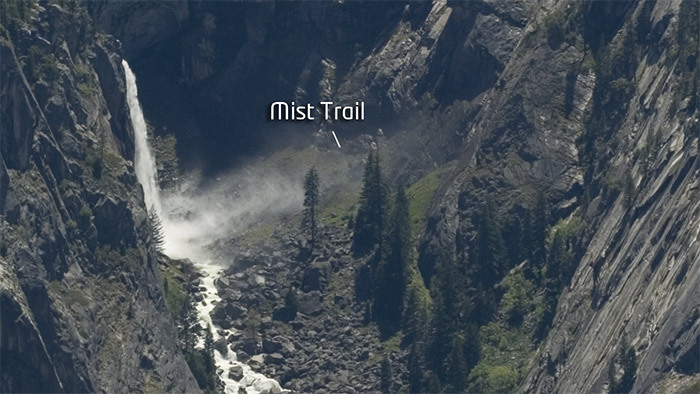 Eden River (Win/Mac/Linux) is a free virtual meditation experience. It is ideal for schools who use meditation as students can rotate on a roster to use this meditation experience. Also watch the Eden River Play Through video. 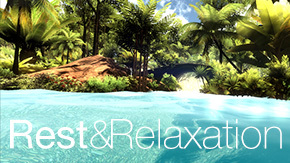 Rest and Relaxation (for Windows) is free a relaxing VR experience that places the user onto a device that is floating peacefully down a lush tropical stream to the sounds of native bird-life. Graphics: A decent graphics card. 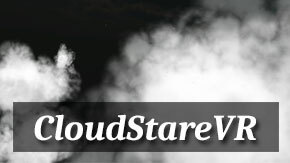 CloudStareVR is a free VR demo that places users at a high altitude amongst hundreds of volumetric clouds, slowly making their way across the sky. 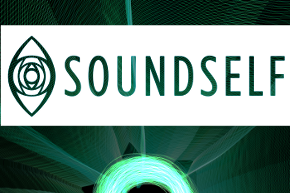 Soundself is a free demo meditation experience where users are presented with visualisations based on the music within the app and also the chanting noises that the user makes through a microphone. The Yana Virtual Relaxation platform enables VR users to sit back on Dagat Beach, take a deep breath, relax, listen to the ambient soundtrack and enjoy a sunset, night-time, shooting stars, and then welcome the new day as the sun begins to rise over the tranquil waters. Guided Meditation (Win/Max/Linux) is a free VR mediation experience. Users can select from four different meditation settings. Suggestions are also given as to how users can use each setting to enhance, differentiate or modify their meditation techniques to suit the experience (using the descriptions here). 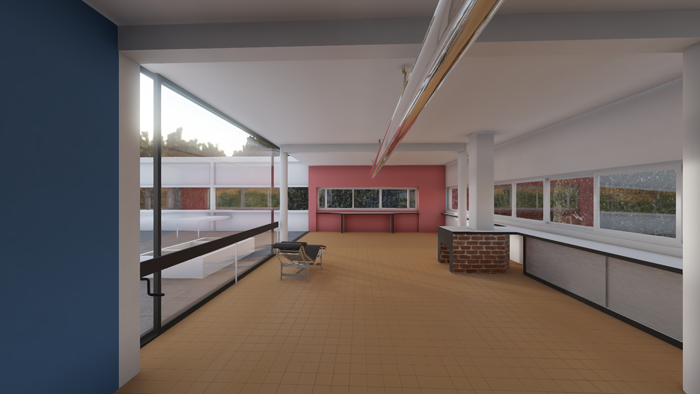 RedFrame Environment (Win/Mac) is a free demo that shows the potential for designing virtual tours of buildings as well as creating detailed graphics for VR games. Smart Reality is a free VR experience created to show how VR can be used in the construction industry. 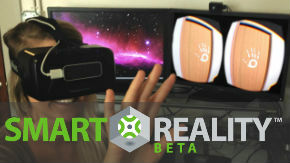 As demonstrated in the video below, connecting a Leap Motion controller to the Oculus headset enables users to interact with the built environment (opening cupboards and doors). 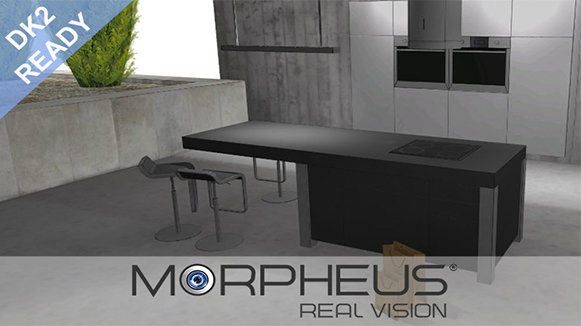 ViewPort Architectural Visualization (for Windows) is a free VR experience to take users of a virtual tour of a domestic dwelling. Users navigate using an X-Box controller. 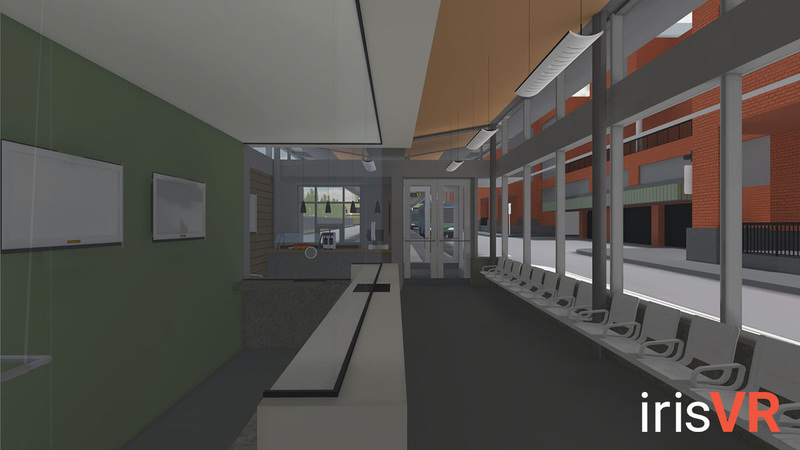 The CCTA Downtown Burlington Transit Station Demo (for Windows 8.1) is a free VR demonstration of the SketchUp model of the CCTA Downtown Burlington Transit Station. The Villa Savoye Experience is a virtual tour of Le Corbusier's Villa Savoye, one of the most iconic modern houses of the 20th century. The building was modeled as accurately as possible using references found online. 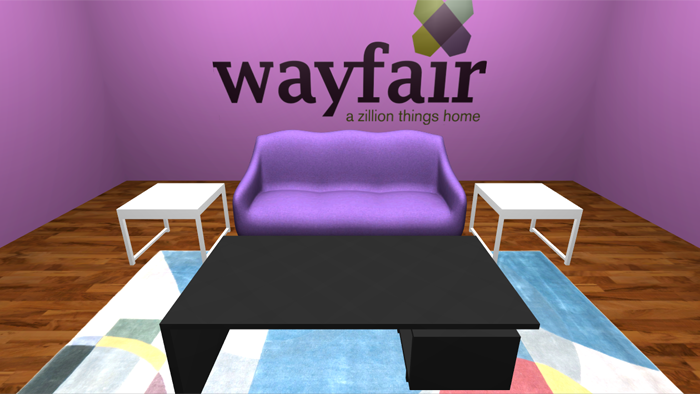 Wayfair (for Windows) is a VR experience that enables users to customise a simple living room by changing the models and textures of a couch, coffee table, end tables, and rugs. An Italian Showroom is a VR tech demo for a company specialising in interior doors. Users can walk around a showroom, stop in front of a door, open up the menu and personalise the door to their preferred colour and style, browsing between an actual collection made by the "Bertolotto porte" company. The Demo has two different scenes with different doors styles: wood and glass. 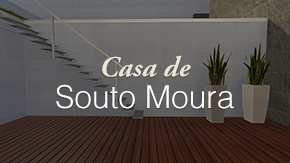 Casa de Souto Moura is a free VR experience of a house in the city of Porto, designed by the famous Portuguese architect Souto Moura. The house serves as an example of the typical detail trademarks of the architect, such as the metal and wood stair railings, the minimalistic doors and the large glass windows. 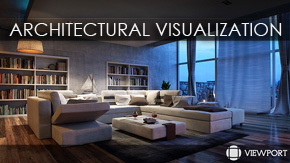 All In Virtual and Vielca Architectural Demo (for Windows) is a simple architectural demo that enables users to walk through a design concept. 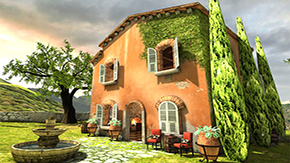 Oculus Tuscany Demo (Win/Mac) is a free VR experience created by Oculus to enable users to explore a house in Tuscany. A simplified demo of the Tuscany experience can be downloaded here. Tower Crane VR (for Windows) is a virtual reality experience aimed to train crane operators and also inspire teens and young adults to consider crane operating as a career. Watch the video below to see it in action and also read and watch the design process behind this app here. Virtalis have created Visionary Render, a software program to enable companies to access their 3D datasets (e.g. 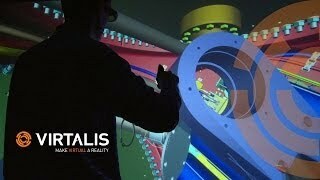 CAD) in a virtual reality to understand, test, visualise and collaborate. Experience/Japan is a free demonstration app of a fictional film told as a first person narrative. Told from perspective of Tom (you), users gain the experience of travelling around Japan. In educational settings, educators could use this app to encourage students to create similar first-person experiences or create a script to match Tom's interactions. CPU: Core 2 Duo 2.5Ghz or greater. 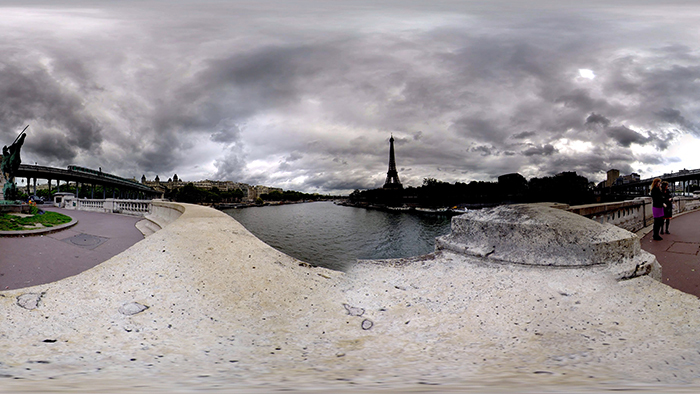 In Paris (Win/Mac/Linux) is a free movie made from some views and experiences on a day in Paris shot for a 360 degree experience. Visit a museum, ride a car and a roller-coaster, explore the countryside, attend a concert and view the Eiffel Tower from afar. In educational settings, educators could use this app to encourage students to create similar first-person experiences. The app requires KolorEyes to be installed on the PC or iOS device. 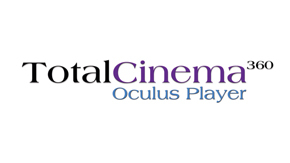 The TotalCinema360 Oculus Player (Win/Mac) allows users to watch live action, omni-directional video content. Take a stroll down New York City's scenic High Line, have dinner at a restaurant or play with kittens. With the Total Cinema 360 Oculus Player, you will feel like you are there. 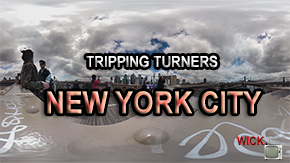 New York City (for Windows) is a free program VR experience that shows how 360 degree immersive content can be used for virtual tours. Take a guided stroll through some of New York City's most memorable locations. Night Tickler: 360 Burning Man Timelapse (Win/Mac) is a free 360 degree timelapse video of the transition from day to night at the Burning Man festival. Experience the energy of the festival as the sun goes down and the lights come on! 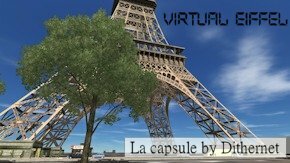 Virtual Eiffel (Windows) is a free demo program that takes users on a tour (in a capsule) of the area surrounding the base of the Eiffel Tower to hopefully give them the experience to grasp the size and scale. Experience The Great Wall of China (for Windows) is a free VR experience recorded using a VisiSonics 5/64 Audio Camera. Access more detail here. 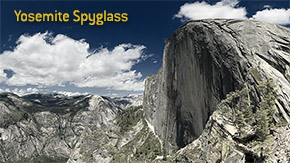 Yosemite Spyglass (Win/Mac) is a free VR tourist experience. A user's experience starts by standing on the 'diving' board at Yosemite National Park looking around at the park from this vantage point. Users can then zoom into area of the park with 2.5 times the magnification of the human eye. 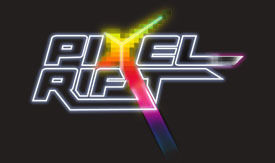 Pixel Rift (Win/Mac/Linux) is a free demo of a unique VR experience placing users in the shoes of a little girl growing up through the golden age of video games. Users even get to enter into a classroom and cheekily try to play video games behind their teacher's back. 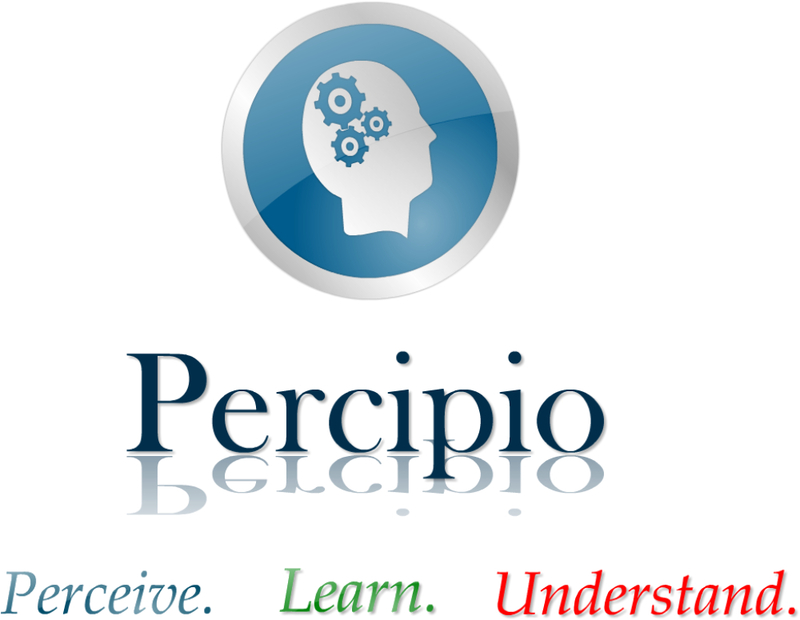 it is clinically proven that it is easier to remember information when the learner associates it with an experience. 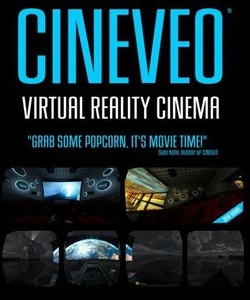 Cineveo ($US10) places users inside a customisable virtual cinema to watch all 2D & 3D video file formats smoothly (AVI, MP4, MOV, WMV, MKV, even H.264 MKVs). Users interact with the experience using hands-free head movements. 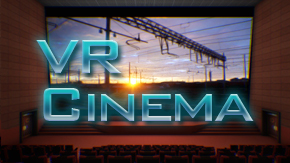 VR Cinema (for Windows) is a free virtual movie theater where users can watch videos in 2D as well as 3D in a theater screen. 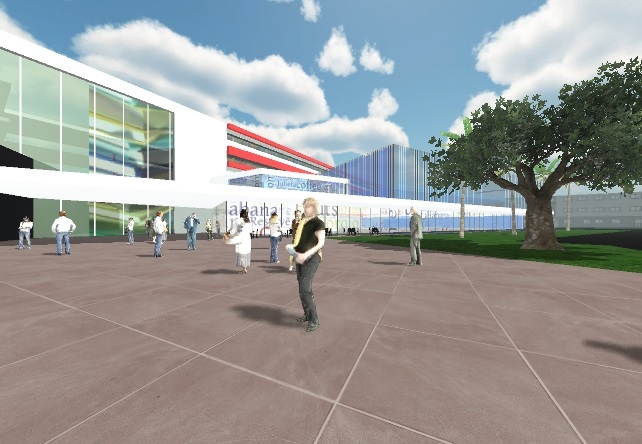 Users can even walk around and choose their seat. photos and videos on your computer. common network-streams like rtmp, rtsp, videos over http, etc. immersive film player: fisheye, fisheye stereo SBS, 360 fisheye, 360 fisheye stereo SBS, barrel panoramic, barrel panoramic stereo SBS, 16x9, 16x9 stereo SBS, 16x9 Curved and 16x9 curved Stereo SBS. An award winning 3D film 'Vortex' is also provided for free! film editor: Publish films; create custom menus, set the projection type, tilt, scale of playback, test and zip for upload (to your own server). VR Video Extension (Win/Mac/Linux) is an extension that enables Oculus Rift users to watch HTML5 video tags from YouTube (opened in the Chrome browser) in a 3D environment. 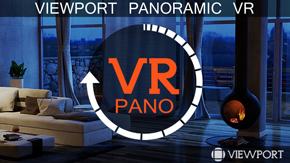 The extension requires vr.js plugin to be preinstalled, else you'll get a regular panoramic viewer. 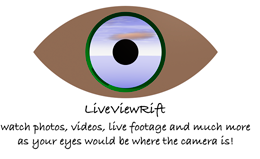 VR Player is another free media player for VR headsets. It enables users to play 2D and 3D videos (local files or web-based streams such as http://vrplayer.tv/). 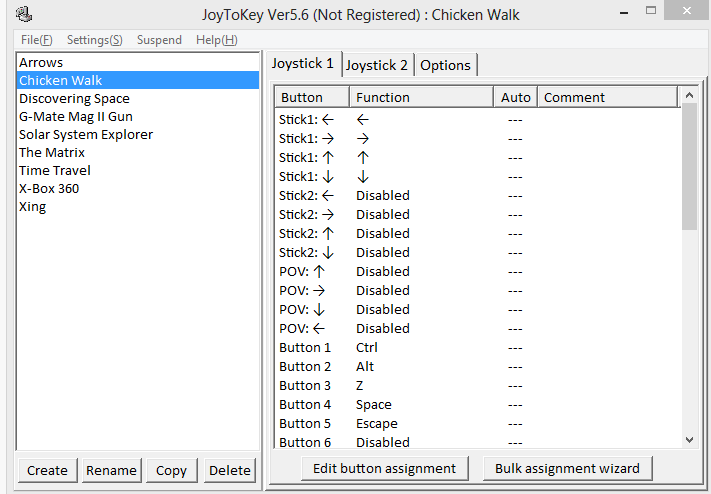 It also has voice commands, gamepad and keyboard support and subtitles support (.srt and .smi format). Cube (For cube maps like in video games). VR users to meet and interact in a virtual world for voice chat. Watch and share movies and presentations in virtual theaters (school can set up open or closed theaters). Take part in scheduled events in the stage/playhouse (see video). Riftmax Theater is also playable on standard monitors with a keyboard/mouse, or an X-Box or Razer Hydra controller. The following apps enable anyone with a smartphone and a cardboard or plastic headset to experience VR. Owners of an Oculus Rift can also connect a smartphone to their headset and use these apps if they have a MHL or SlimPort cable. The Mission: Preview (Android) is a truly epic VR WWII experience! JauntVR and New Deal Studios have scripted and shot an immersive cinematic quality video that places the user into 'The Mission', a WWII special operations team that is dropped into a battle on the Eastern Front! A free ten-minute preview has been released and is a must for any teacher or student studying WWII. Read an in-depth review here and download the free demo here. Created by Google, it contains a variety of SBS demo apps, including Google Earth where users can explore the world VR style! A similar app to Google Cardboard but it has received poor reviews. A demo app where users can hop on a jeep and ride through the park to view a T-Rex and 4 other types of dinosaurs. 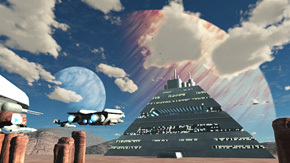 Users are on a viewpoint station in deep space where they can relax, navigate and enjoy the marvelous view. Experience what it would be like to take a walk on the moon! Move around using a tilt of the user's head to use the phone's gyroscope. Experience a walk out in space. NOTE: A bluetooth keyboard or the snakebyte controller "idroid:con" is needed to play this demo. Experience life through the eyes of a spider! NOTE: A bluetooth keyboard or the snakebyte controller "idroid:con" is needed to play this demo. Dive have created various apps for both iOS and Android phones that can be used with a cardboard headset. Browse YouTube for 3D movie trailers and be amazed! VR Player is an immersive media player. It enables users to play 2D and 3D videos (local files or web-based streaming content - see http://vrplayer.tv/). A VR media player that places users into a cinema to watch normal and SBS content. A VR media player to render any MP4 video into a side-by-side video. Kainy or Splashtop to remote monitor a computer on a phone and then use the phone to play the games OR to play videos use Plex or VLC Direct. A gyro mouse (buy here and watch this video). Any side-by-side (SBS) games such as Minecrift (pictured left) or other apps designed for the Occulus Rift (reviewed above).